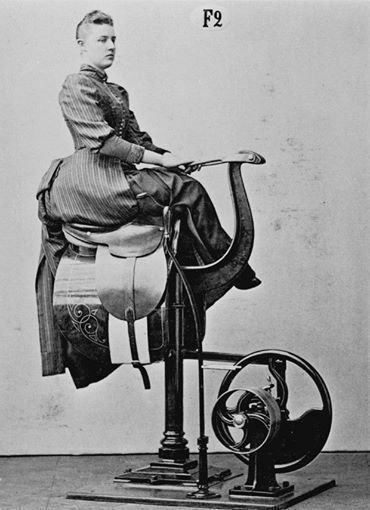 In the quest to ride a horse well, mankind has thought long and hard about how best to go about it. Various solutions have been formed, none of which works with the rider’s sense of feel. Not convinced? How many times have you been told to sit on your pockets, sit back, sit up, sit evenly, sit quietly….? Has anyone ever taught you how to absorb the movement of the horse? Have you ever asked to be taught that? If not, why not? This rider has looked to techno sensors for assistance. As most of us have, this lady is doing her best on the lunge line. How is this done? Easy, brain training. For a couple of minutes each ride, you pay complete attention to how you are moving and to the smallest of detail. 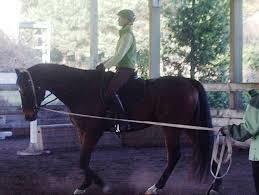 For example, do this first on the ground, then on your horse balancing to the ground. In standing, rest your hands, hand or finger on something so the observation will be about posture and about how your weight is distributed. Notice how each foot is resting on the floor, is it more to the outside, more to the front of the foot… . Without lifting the toes, place your weight onto the heels then return to where you first started. Do this a couple of times. Now, let your heels sink into the floor. Stand and breathe to allow your brain to find and file this moment. Slowly let go of this stance and notice what happens to your body. Do this a couple of times. Pay attention to what feels supportive instead of what feels normal. As you sink the heels allow the floor to hold your weight, and your knees to soften and slightly bend as the movement occurs. Note what happens when your weight is placed on the heels and when the pressure is released. Now stand and shift your weight onto the balls of your feet without lifting the heel. Breathe and observe the comfort of this position. Do this with your feet with different widths of separation. Find which position offers you the most support. Pay attention to what feels supportive instead of what feels normal. Notice any changes in the tension in the feet, legs, hips, lower back, neck…. When in standing do you feel more grounded? When in the saddle are you more centered? Develop your feel by visiting this simple movement exercise and start trusting yourself as you ride.